Fill out the form with any questions or inquiries you have for the sales consultants at Whaley's Creek. You can also call or chat with us for immediate responses. Explore Whaley's Creek. The life you want, where you want to live it, has never been so attainable. Home ownership is within reach. Oasis perfects single-story living with three bedrooms, flex space, oversized laundry room, and a convenient Everyday Entry™. With multiple flex spaces, Boardwalk gives you options. Two downstairs multiuse rooms and an upstairs game room suit many needs. Find the flexible space you need in Dockside: two flex rooms, an optional multiuse loft, and an extra garage bay for storage. Whaley’s Creek is located in scenic small town St. 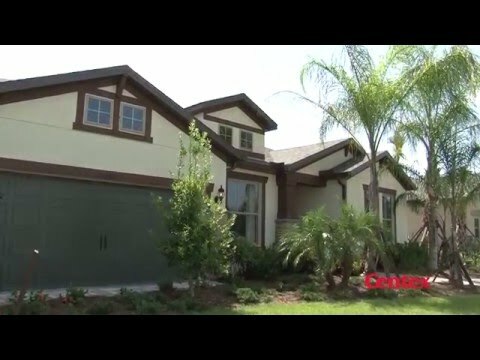 Cloud located just outside of Orlando and features six single-family home designs. Within the community, residents can enjoy taking a relaxing dip in the community pool, watching your children on the playground. And when plans call for high-energy family fun, your home in Whaley's Creek is just moments from world-class theme parks. Whaley's Creek is located in the heart of St. Cloud, FL and is well-connected to major highways I-4, 417 and the 528 via the Turnpike, so commuting to the Orlando area is a breeze. Discover a small town feel in St. Cloud along with a variety of parks, recreation, and outdoor events throughout the year. Take a short drive to the world-famous 192 shopping and attraction district and experience Medieval Times, Old Town, and Orlando's major theme parks. Take a virtual tour of the Citrus Grove to see how this house flows from room to room. *Must be a USAA member and provide member number by purchase agreement effective date. Offer valid from 1/1/18 - 12/31/18. See sales consultant for details. See how much you can afford with Pulte Mortgage LLC's Buying Power Calculator. Your path to homeownership starts with Pulte Mortgage. We provide an easy, convenient, and personalized lending experience that fits your financial needs. From the basic prewire, to a full suite of automation, make your home exactly as smart as you want it to be. The future is here with Smart Home from Centex. Orlando was named the No. 1 city in America to invest in housing for 2018, according to a list by Forbes Magazine. Secure a great rate right now, with mortgage rates at their lowest in a year. Discover how much more affordable your payment could be.